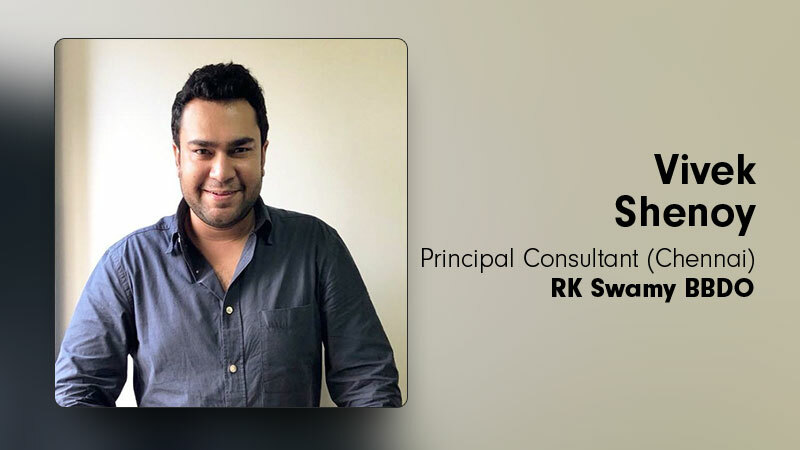 RK Swamy BBDO has announced the elevation of Vivek Shenoy as Principal Consultant, Chennai. The move signals an invigoration of the agency’s home-ground office under the aegis of a younger leadership. He will now oversee RK Swamy BBDO’s portfolio of legacy brands such as ITC, VBJ, TAFE, KVB, Orient Cements, Indian Oil Corporation Limited, ETA General and Amrutanjan.